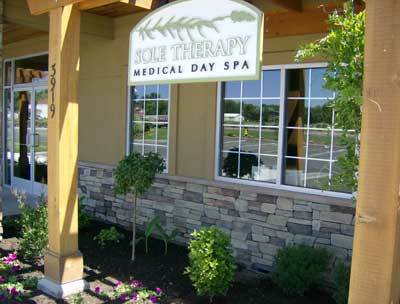 Sole Therapy Medical Day Spa, located in Yakima, WA, opened in 2007. As a team we believe that outstanding customer service as well as personalized client care is what sets us apart. We offer Foot Reflexology, Sterile Pedicures, Facials, Massage Therapy, Waxing, Body Treatments, and Laser Services. Our comfortable and inviting atmosphere along with results oriented services will leave you with a feeling of relaxation and pampered from head to toe. Sole Therapy is owned by Dr. Stuart Cardon, D.P.M. and Dr. Joshua Johnson, D.P.M. and Dr. Shawn Summers, D.P.M. Together they have created a serene environment that offers tranquility with a medical touch. In conjunction with their podiatry practice (Cascade Foot and Ankle) our doctors feel that both treatment approaches support each other and are committed to finding ways of healing. We take pride in providing a clean environment to each guest that visits our Yakima Spa. You can relax knowing that all implements used during your services have been sterilized properly before use. In addition, we throw away what cannot be disinfected or give it to you to use at home. All of our spa products used are professional grade and dispensed appropriately to eliminate contamination. We look forward to providing you a clean and relaxing environment and invite you to experience Sole Therapy Medical Day Spa in Yakima. Thank you to all of our valued clients who voted us "One of the Best Massage Therapies in Yakima!" Meet the Staff of the Sole Therapy Medical Day Spa in Yakima. 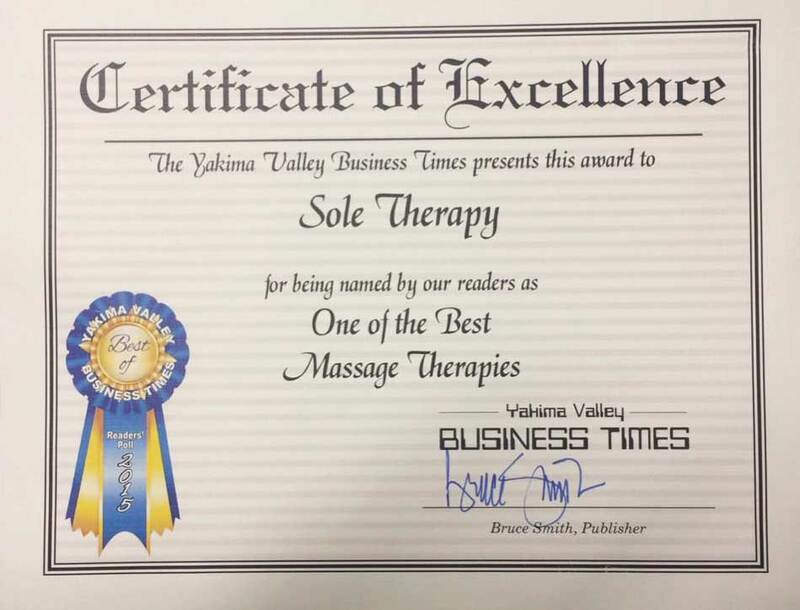 Sole Therapy Medical Day Spa is a member of the Yakima Chamber of Commerce. fundraisers. Please contact us for more information. See the Treatment Rooms and Spa Facilities.